Going on my Etsy site soon! 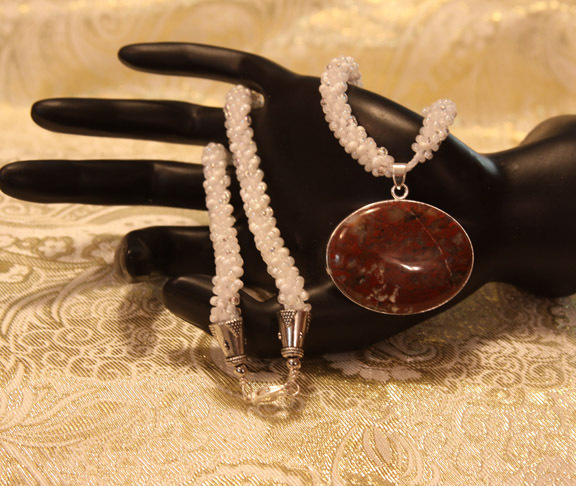 A mix of white and crystal size 8 beads in a Kumihimo braid with silver-tone lobster clasp and red jasper colored cabachon. Available soon on my Etsy site. 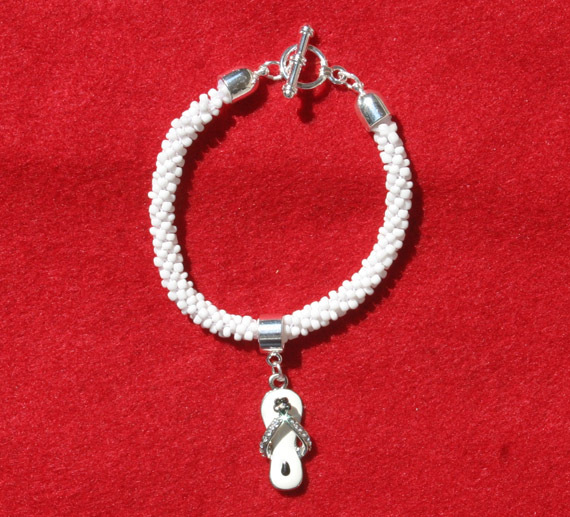 White size 8 seed beads braided Kumihimo style embellished with silver toned end caps and enameled flip-flop charm.